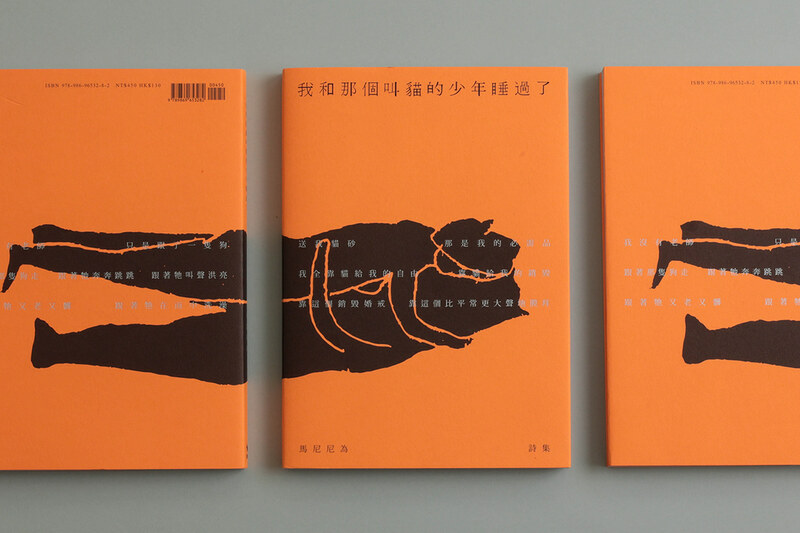 The fluorescent orange cover shines like the first light at dawn, which seems like hope to the author brought by her cat. 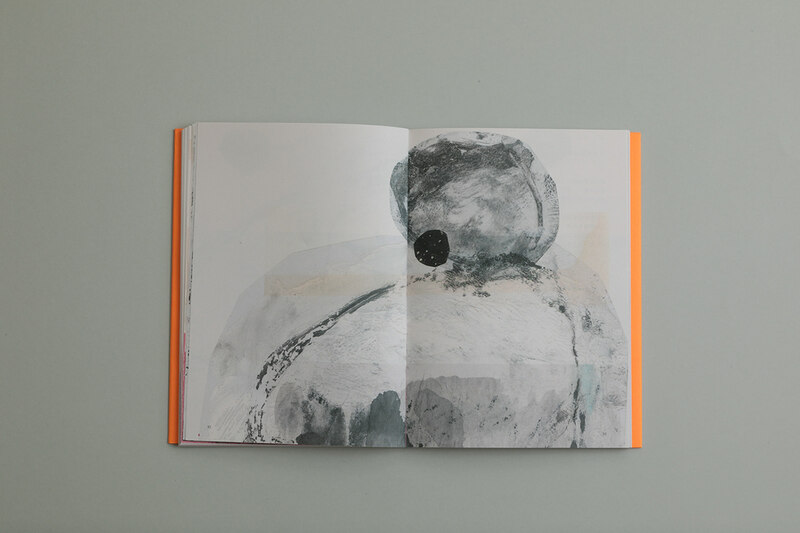 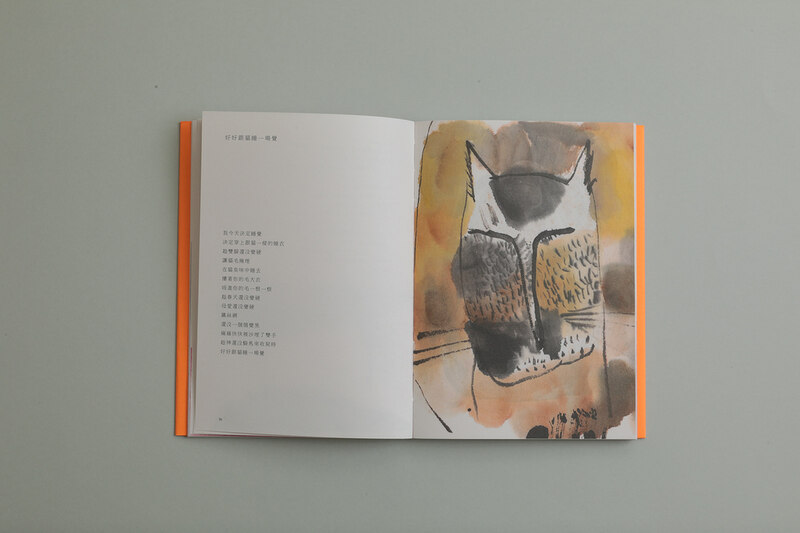 I’ve Been Slept with the Youngster Called Cat is a poetry collection with illustration by poet Maniniwei; inside, it collects the illustrations and poems that Maniniwei has drawn and written. 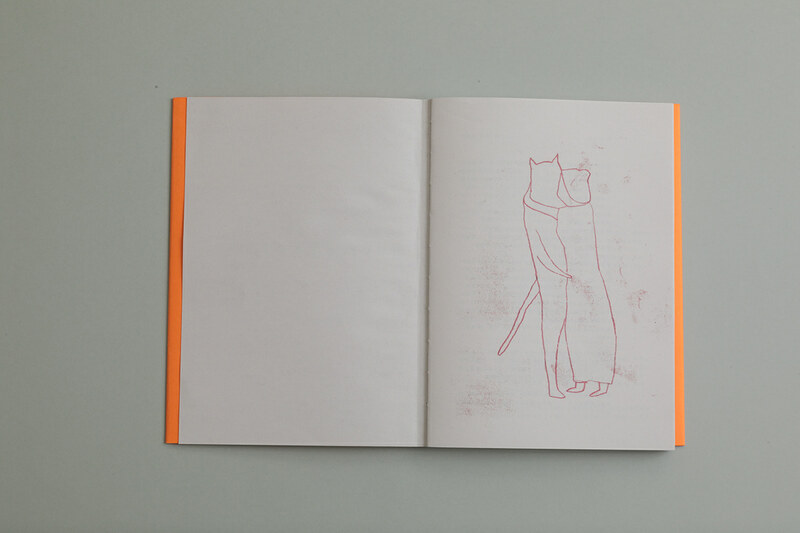 The design of the cover features the protagonist embracing her cat. 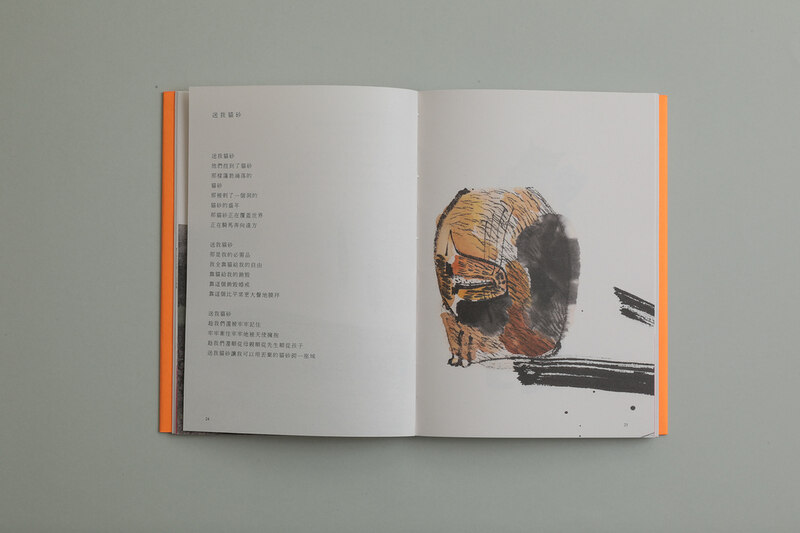 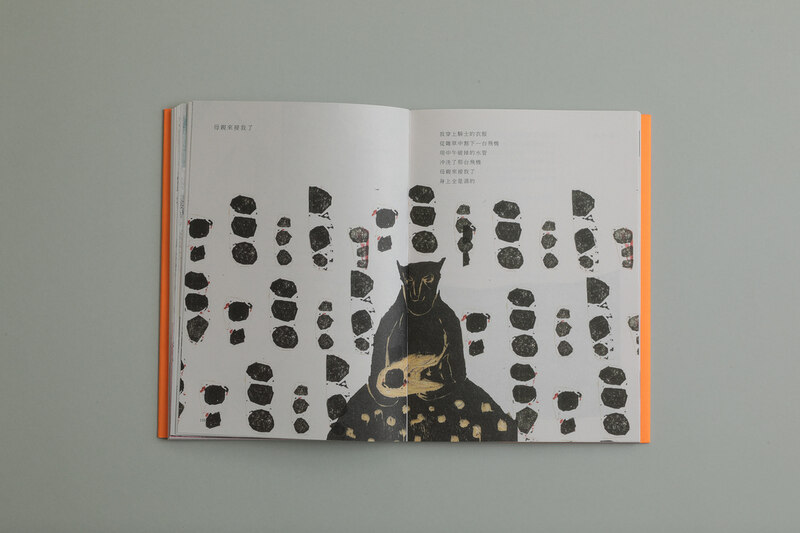 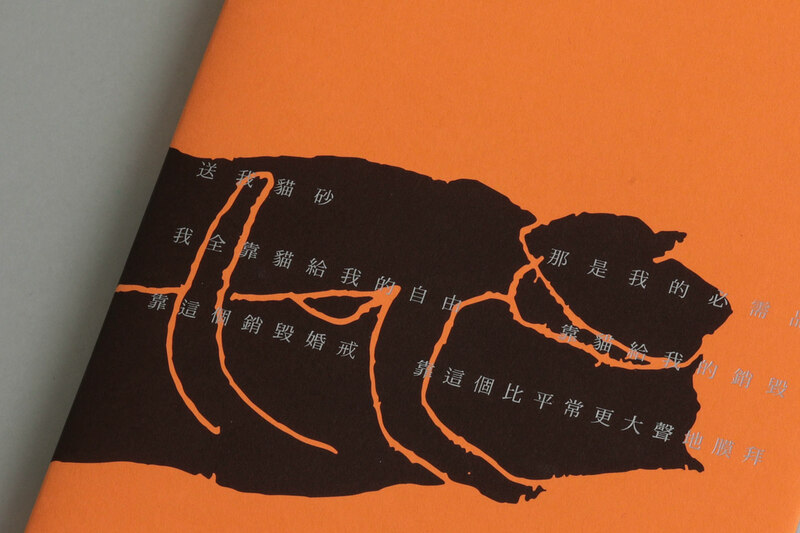 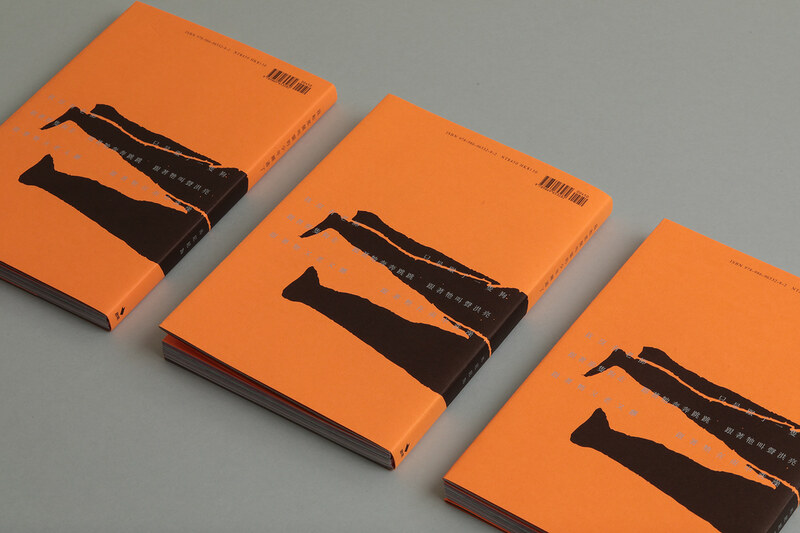 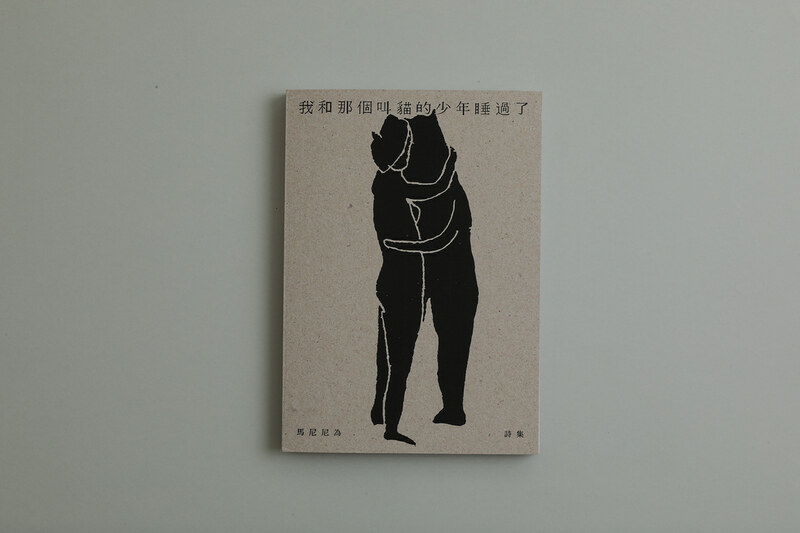 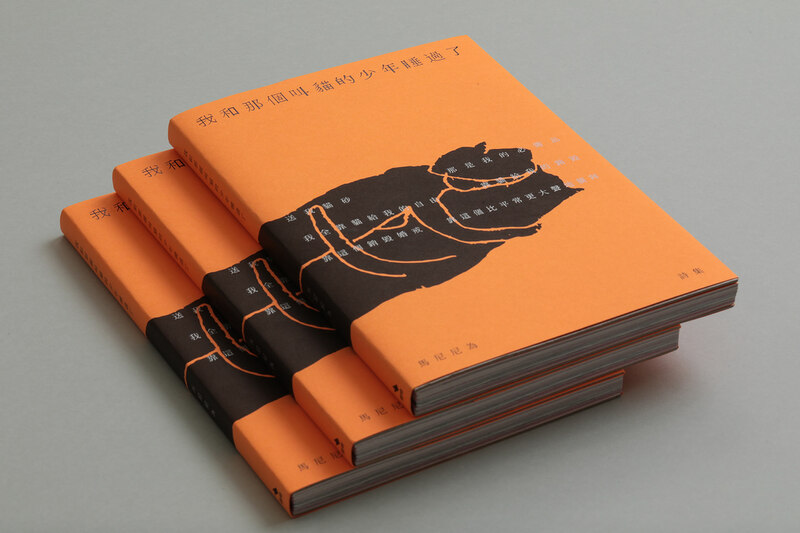 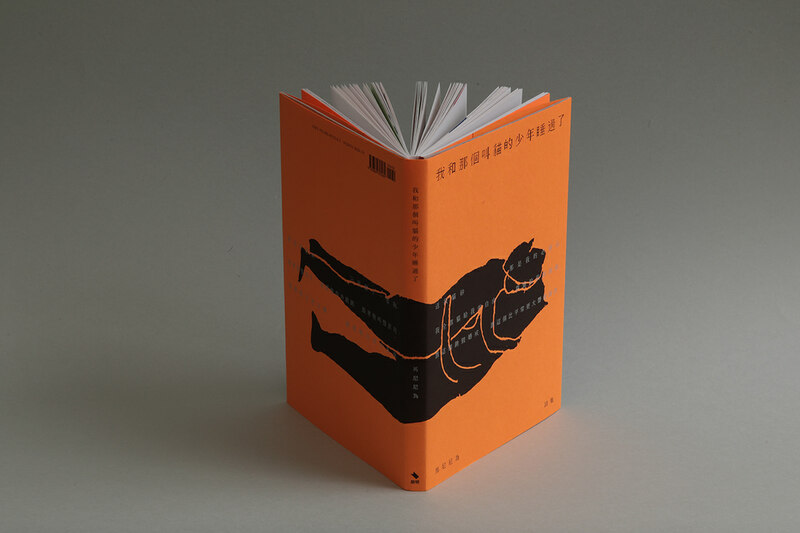 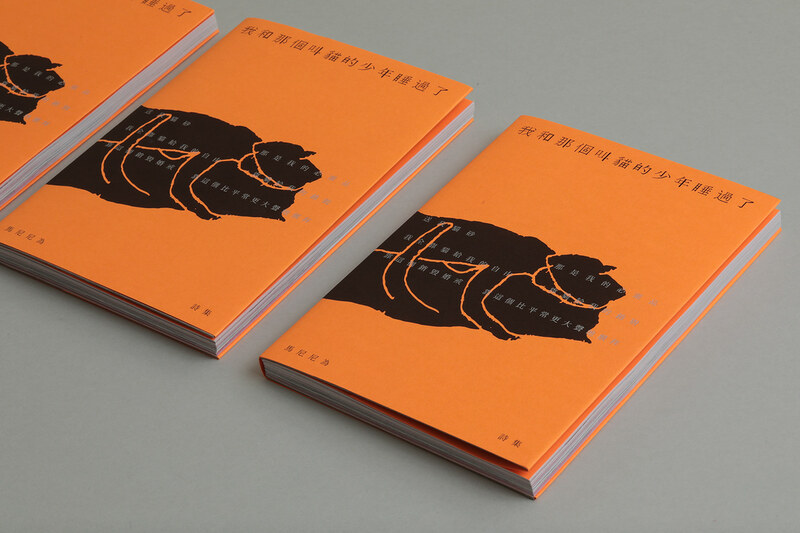 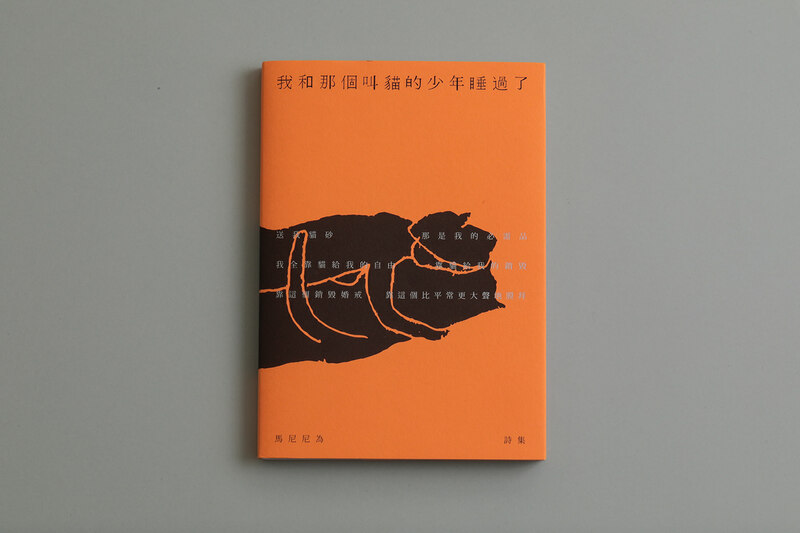 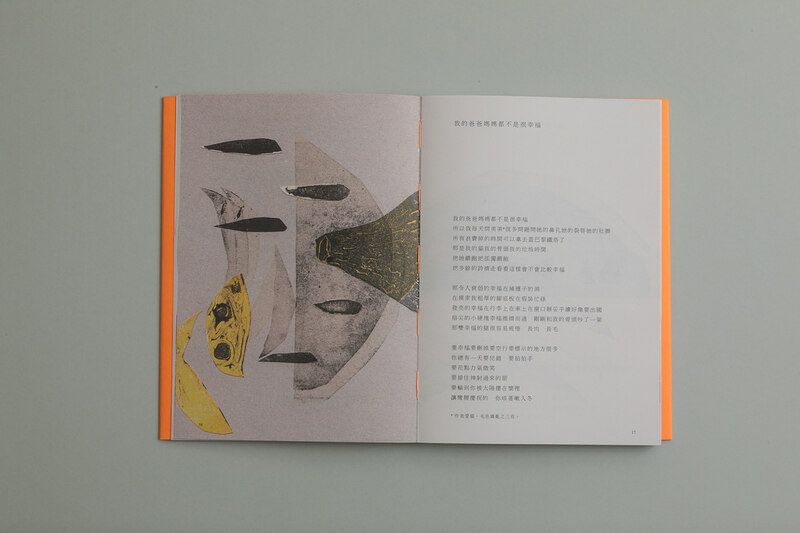 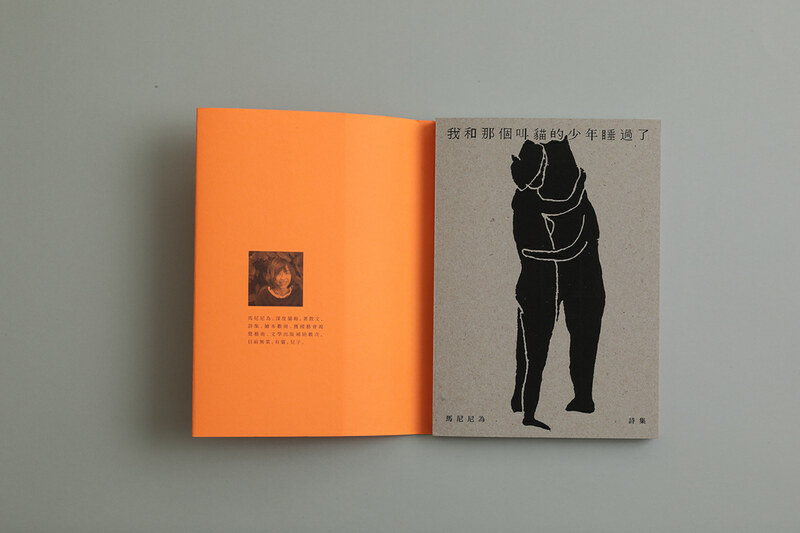 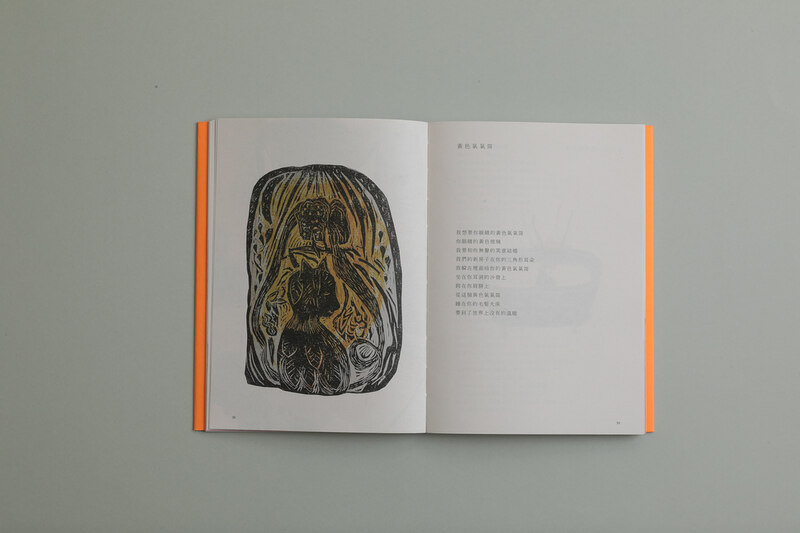 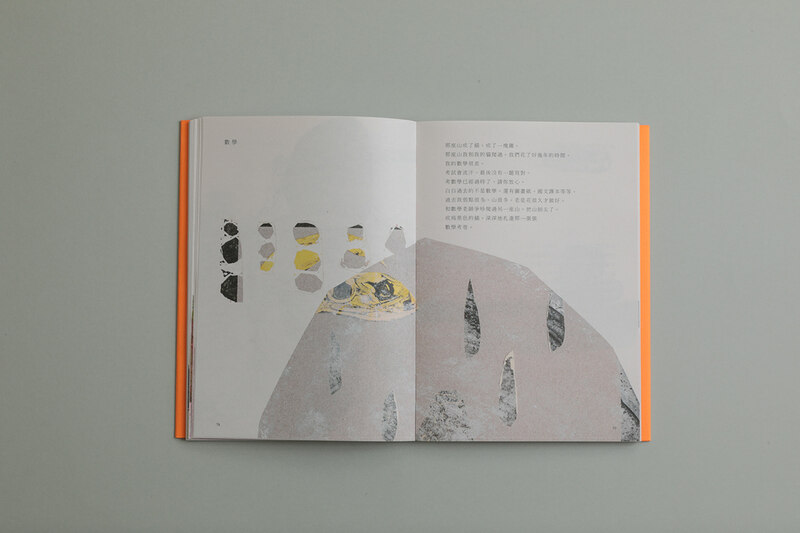 Spread the book cover and you can see the figure of the lying poet embracing her cat; fold the book cover and the figure looks like the stripes and spots on her cat MeiMei (美美). 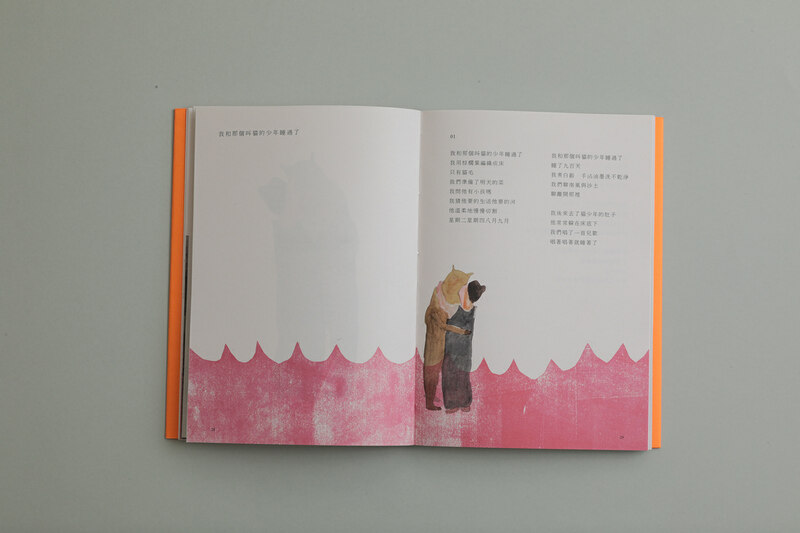 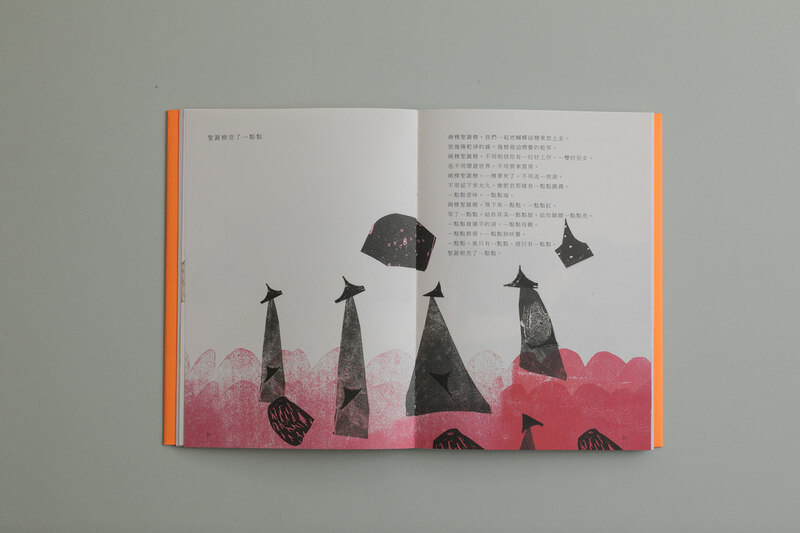 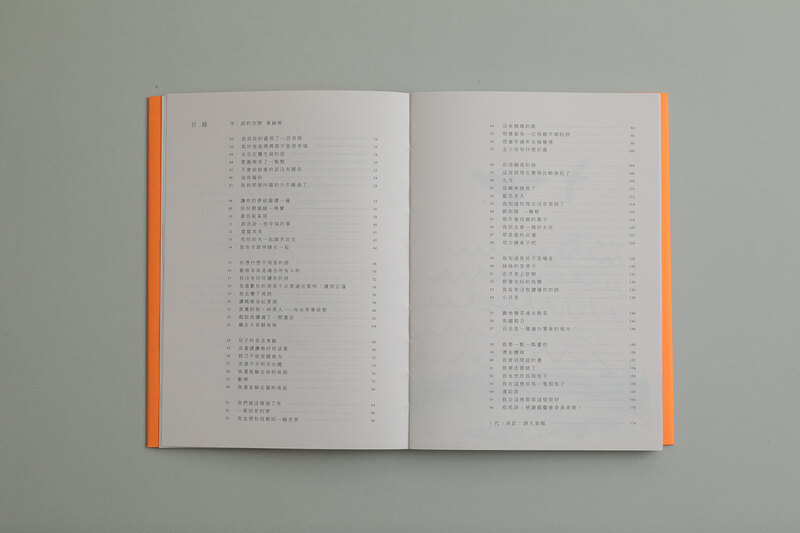 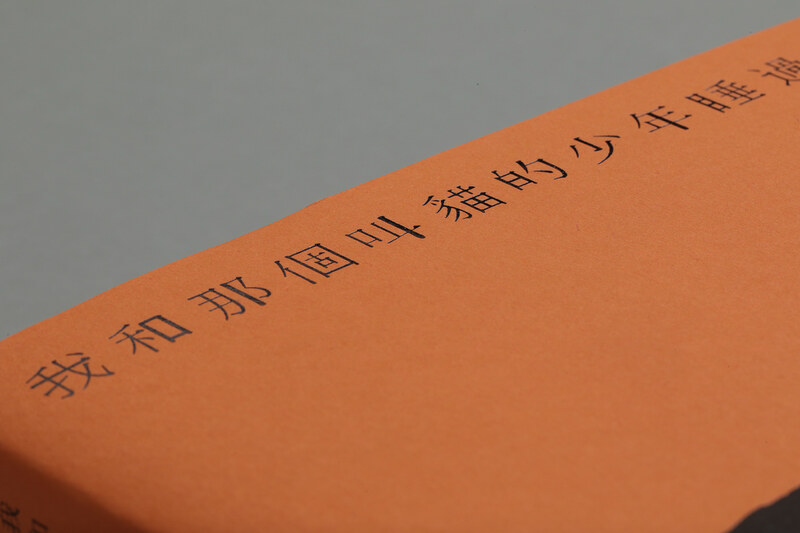 The characters of the title are arranged in patchwork to correspond to the style of illustration in the book. 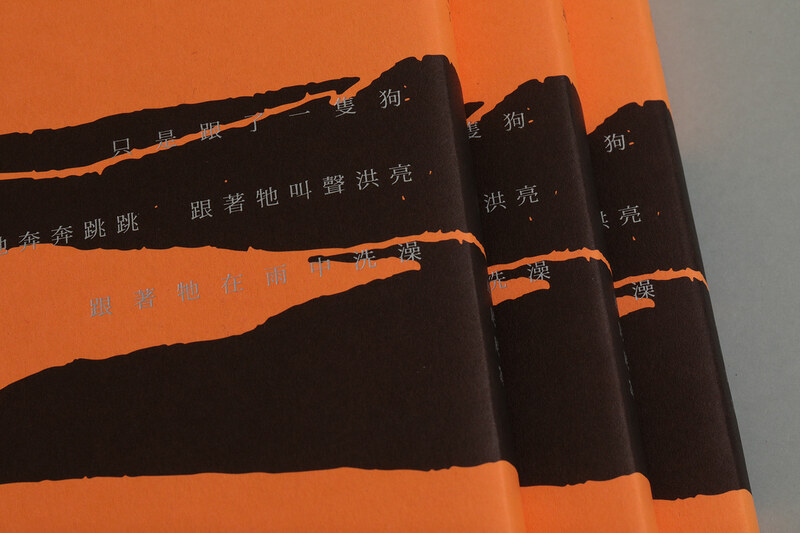 On the figure we put the quotes in hot foil stamping to add to the elegant texture. 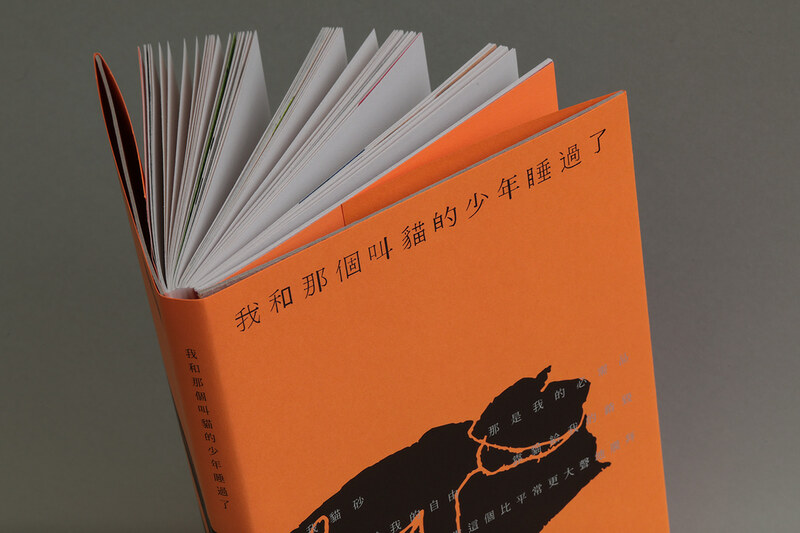 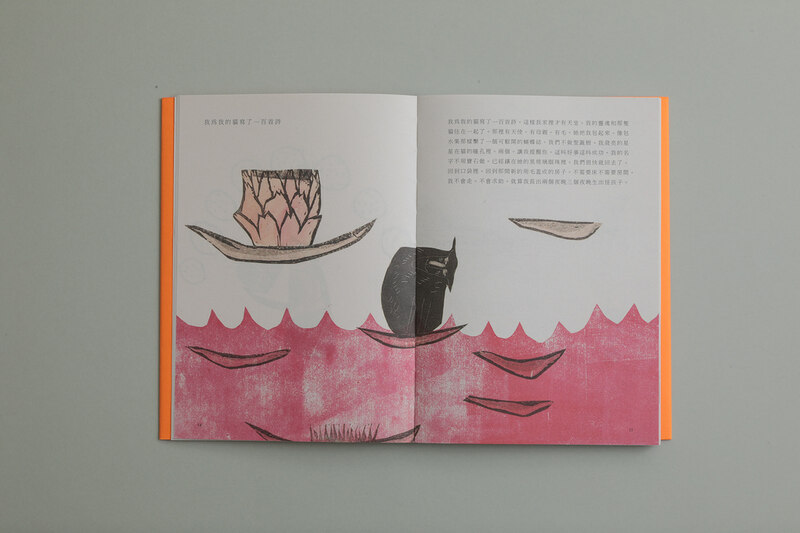 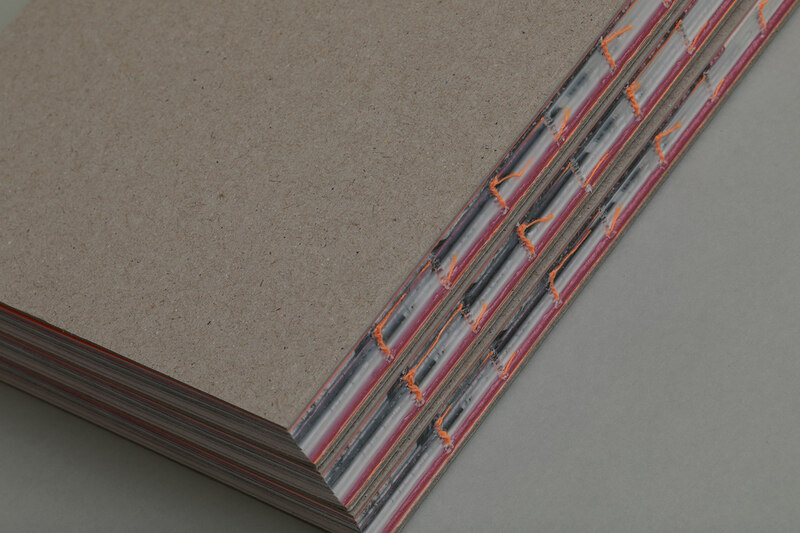 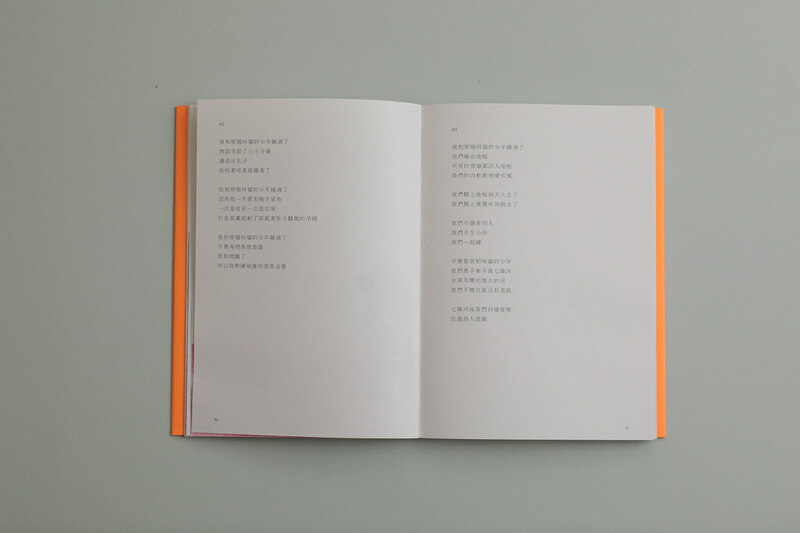 We choose the fluorescent orange as the color of the book cover not only because its bright color can attract people’s attention from a sea of books, but also because it represents the hope and joy that her cat has brought to the author.